David started Krav Maga in 2014 and completed his Krav Maga instructor’s course with KMG (Krav Maga Global) in July 2017, under Franklyn Hartkamp Expert 4 (Netherlands). 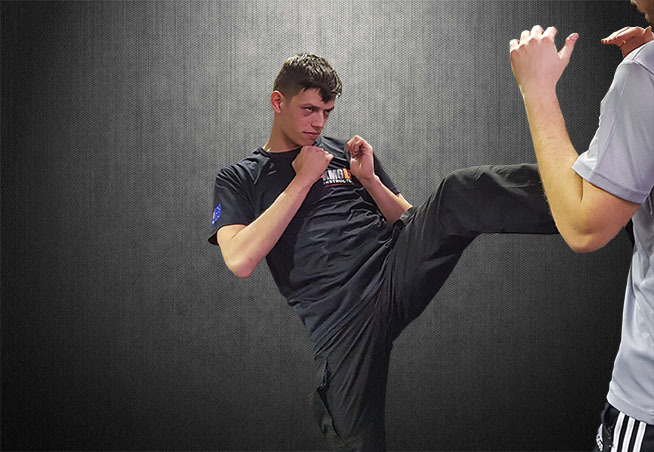 David’s journey started in 2001 when he attended taekwondo classes at the prime age of 7 years old as a means of keeping fit, this was the beginning of a passion that lead him to where he is today. After leaving taekwondo with a black belt he continued his training, practicing his technique and finessing his skills at MMA (Mixed Martial Arts) for a number of years. David is a hard working instructor with a goal to encourage individuals to be able to protect themselves in times of need. David is pleased to pass on his knowledge and skills attained through the many years of training to eager students willing to learn.